It appears it will cost $100 million for 10 episodes for the premiere season. Which tells me that it will have motion picture/movie quality. I am now more intrigued! Credit to http://bastila-bae.tumblr.com/, where I first saw/discovered about this. This is a leak that was given to me about two weeks ago, and I'm told that Making Star Wars should report on it very soon. 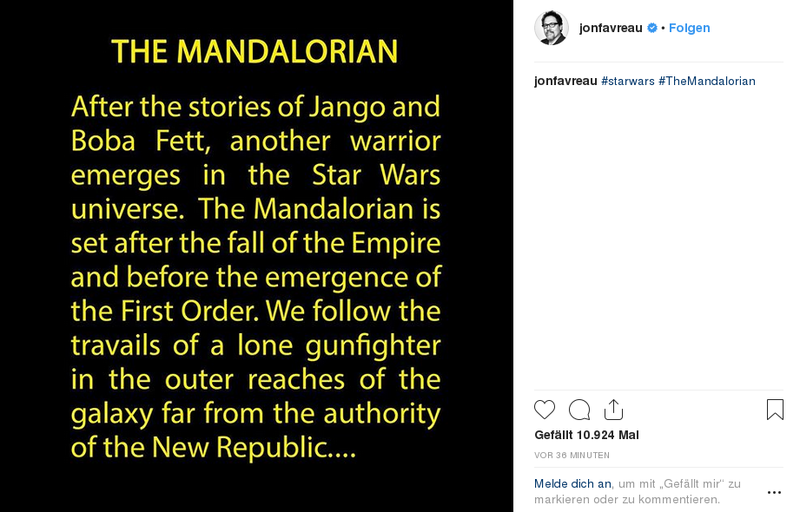 Essentially, Jon Favreau's show will be centered around Mandalore, two years after the Battle of Endor. I don't have any other information on it, however. I understand if this post is removed or if it's labeled fake, but I absolutely guarantee that this news will drop very soon. From what I can ascertain, the show being about Mandalore makes sense, as 2019 will be exploring Mandalore in other areas: The Clone Wars is coming back, which may feature the Siege of Mandalore arc, and the newly announced Master and Apprentice book may touch on Obi-Wan's past with Satine. Just my own speculation, not related to leaks at all. Again, I totally understand if you don't believe me, but I am being entirety truthful! I can provide a decent amount of proof to the mods. I think it may be true. It's the budget compared to Game of Trones which reminded me of something. - By voice actor Vanessa Marshall (Hera in Rebels), "Star Wars Rebels Season 4 is Like 'Mandalorian Game of Thrones'"
- By Dave Filoni who said that the Kyrze secret family tree that he has created is very much like Game of Thrones. Here is the fun, the video is no more available, but this is the link if one of you know how to recover deleted youtube video. I feel that Disney would want to use GoT popularity and sucess (like Amazon with Lord of the Rings or Netflix with the Witcher) to create their own GoT in Star Wars with Mandalore's culture. I will see if I can find the video. But if it has been deleted or removed from YouTube, by Disney or the original poster, then most likely it’s gone for good. I’ll say this though, from my 2 years of experience posting in the Rey Kenobi thread, it’s not the first time juicy/telling info has disappeared from the internet. Especially when it comes to the Mandalore/Kryze/Kenobi connection. I think it's about time they announced the title and story synopsis if they are shooting it. I wouldn't count on it, we had to wait the end of shootings to know 'Solo' was the title, TFA and TLJ had finished most of their shootings before we knew their titles. But maybe it's different for a TV serie. I wonder if they have a working title. With the photo, it looks like we're on Tatooine but I don't see what kind of stories they could tell there post-ROTJ. I saw people discuss about the photo set and theorize it could be Lothal. The hints are the moisture vaporator, the grey walls, the manhole. I think it's possible, furthermore Favreau and Filoni worked together on the serie apparently. If Mandalorians do appear, Sabine could be an entry point for them. We don't know exactly when Ahsoka joined Sabine but it is after Endor, and this serie is set to happen 3 years after Endor. I thought we will see the search for Ezra in another animated serie by Filoni, but I'm starting to wonder that maybe this serie is where we'll see those events. Oh yes! I hope we also get some look at the politics of Mandalore. @Man Without A Star wrote: I think it's about time they announced the title and story synopsis if they are shooting it. Pedro Pascal is rumored to be a main character in the serie, maybe he is the lone gunfighter. This made me think of Cobb Vanth from the Aftermath trilogy.. he was Sheriff of Freetown (Tatooine) .. maybe it's coincidence, but he finds a mandalorian suit of armor and this is what helps him to step up and fight the criminals! It’s finally happening ! A series which will ( hopefully) explore mandalore ! I think this sounds really promising . I know am biased because I love Star Wars but am looking forward too to my non Star Wars friends watching this because they don’t know anything about Mandalore or Mandalorians and I think they’ll be in for a real treat especially if we get to explore the politics ,culture , the legends ( darksaber & mandalorian wars ). Moreover a tv series is perfect to do this because you have more time to go in depth even if the experience is in flashbacks . Fantastic news! Just saw the news! And look, there are women and POC set to direct, finally! Including Taiki Waititi! KK and Filoni are both producers on the show, and Filoni is directing the first episode, so maybe the people who complain they want him in charge of everything can be happy too. Wow, I did not expect Taika Waititi after his commnets about not wanting to direct SW after C&P were fired. I am stoked! Also, I am very happy for Filony and female directors!!! Although, I am surprised about the choice of Bryce Dallas Howard. Has she directed something before or is this her debut? Anyway, awesome news, the armor looks great and in general, the show is shaping up very nicely! She directed shorts but I discovered it today, so I was also surprised as you. I have to point out we had already met her father on a SW.
Maybe she is talented, but I have no work to judge her on TV serie and I have the feeling she got the position thanks to her father (like Kasdan'son and Lucas' daughter on TCW). She is a woman director so it is also a positive point for Lucasfilm. Plot twist, Pedro Pascal is the Mandalorian but never take off his armour, so we never see his face and body. Millions of voices cry out in grief. I am happy with this image and with the directors, and it is nice to have more information. 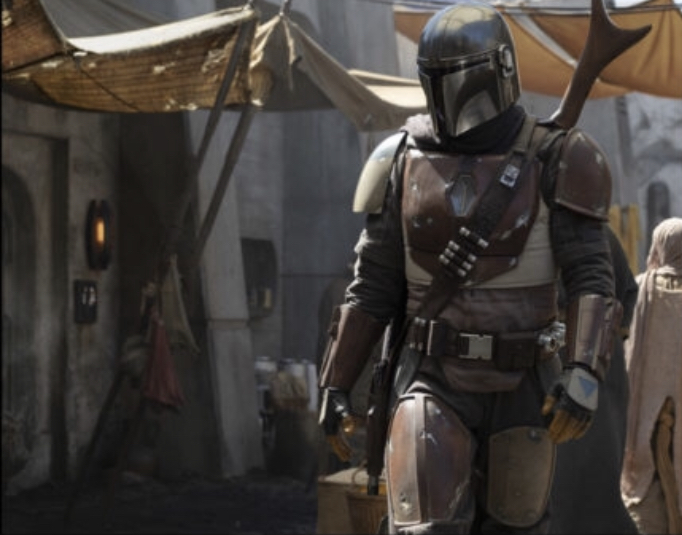 With this image I see a man for the Mandalorian, do you agree? Yeah, Ron is often hit or miss for me, but I enjoyed Solo. I definetly need to check out her shorts to get a better sense of her style. Agreed, that's definetly a man in the armor.